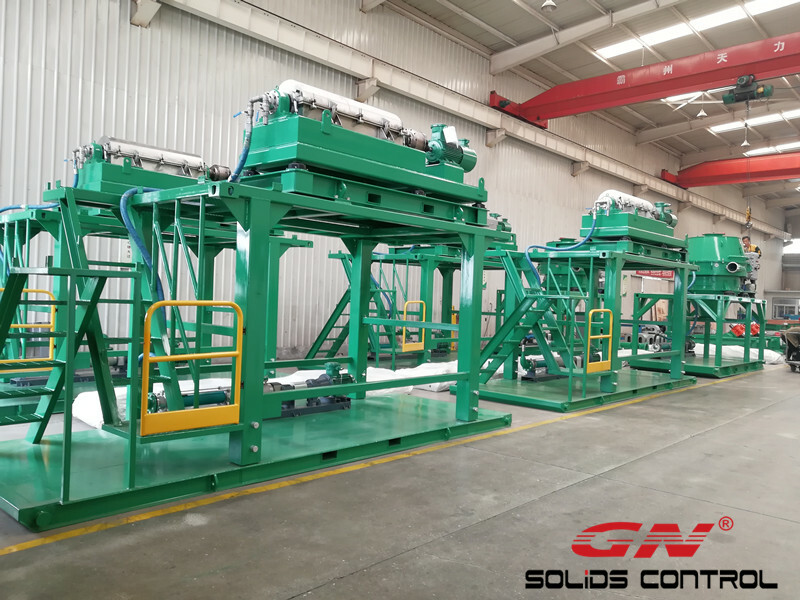 GN solids control is going to ship 4 set of telescopic skid mounted decanter centrifuge and 2 sets of telescopic skid mounted vertical cuttings dryer to Nigeria oilfield service company. They are for 3 sets of drilling cuttings treatment system, the clients just need to put the cuttings collection container under the solids discharge port, or install the screw conveyor to transfer the discharged solids to cuttings collection box then transported by the truck. Each decanter centrifuge equipped with one screw pump as feeding pump, each vertical cuttings dryer installed one screw pump as flushing pump and installed on the telescopic skid, the telescopic skid can be lowered down during the sea shipment or road transportation, and it can be lifted when operation. Walkway, handrails, stairs are installed as accessories. Decanter centrifuge and vertical cuttings dryer is the major components in the drilling cuttings treatment system. The normal working principal is that the discharged drilling waste was collected by the screw conveyor and transferred to the vertical cutting dryer inlet port on the top, or use vacuum pump instead to save space, the clean fluids was dropped in the intermediate tank, and the discharged cuttings was collected , the oil remained in the cuttings is below 5%, it can meet the disposal requirement for most countries, if it can not meet the local disposal limit, you need to use further thermal desorption unit. 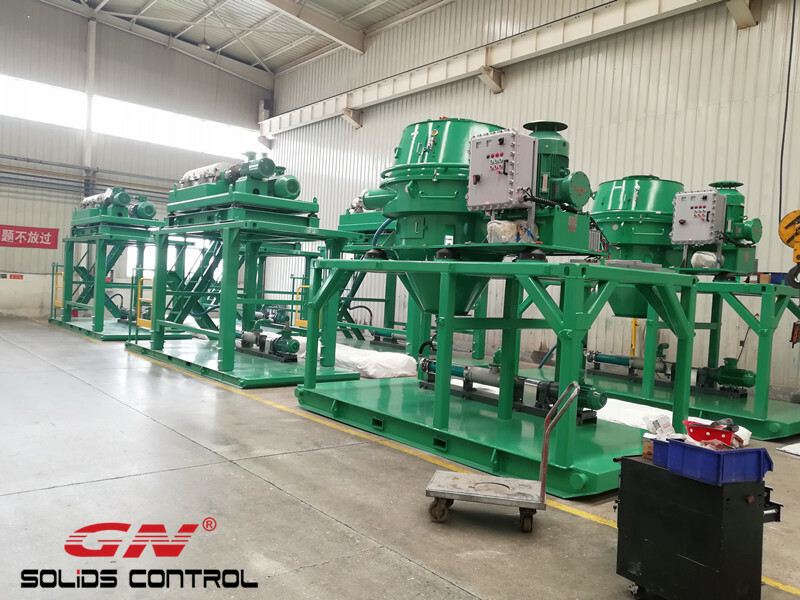 The fluids was feed to the decanter centrifuge to separate fine solids by the screw pump, the cut point is 2~5 microns, the discharged solids is collected by the waste container, and the clean fluids can be re-used by the drilling rig.